S - Grind offers a full sole with straight trailing edge ribbon and moderate heel relief and benefits the slider/neutral swing types and performs well in all turf types (firm/medium/soft). Review by Peter G, 1 year ago. Review by Vinny, 2 years ago. Review by Bill, 3 years ago. Review by Vokey, 3 years ago. 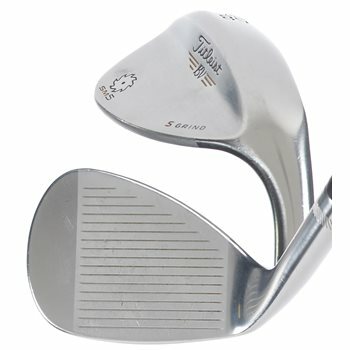 You would need to purchase a Sandwedge as well as it is not included in the set. The Approach wedge is different and not designed to use out of a bunker. Unfortunately, we are unable to provide pictures of specific clubs due to the size of our inventory and multiple shipping locations.